Sir, when i am doing http://my-ip/nagios it gives internal server error and if i read log on tail -f /var/log/httpd/error_log it says the there is not any index.html and .php file. All installation fine, the problem when accessing the nagios on browser. You Don't have permission to aces /nagios/on this server. Don’t forget to restart the Apache service.. I am also new to Linux. I am also having same problem as you mention in your first comment. Can you please mention the details about port forwarding. 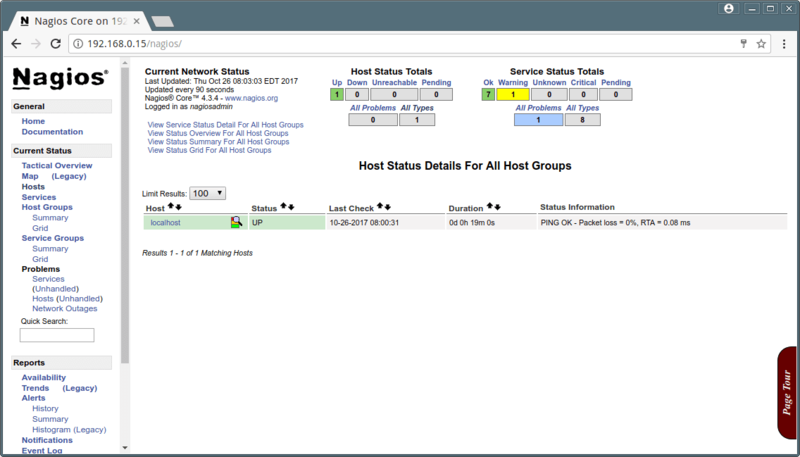 I have installed nagios on server . I am getting error of 404 not found. I try to set up this nagios service but, well when it asks me user and password I provide “nagiosadmin” and “password“. Nevertheless I can’t access the web interface. Would you provide me the right username and password please? Run this following command to set new password again for Nagios admin. Hi, After running the above command, I get the output like. Try to disable SELinux and try again or create file htpasswd.users manually and run the command again. I am a beginner with Linux and network monitoring tools. 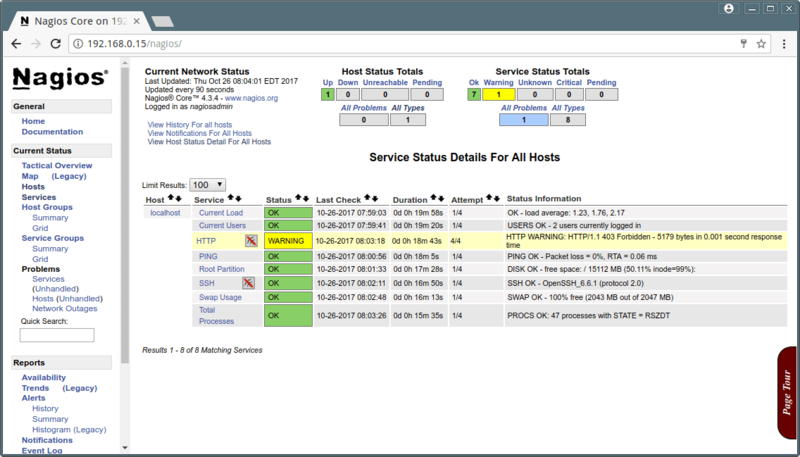 I am installing Nagios 4.3.4 on CentOS 7. I followed the instructions posted here however, I cannot access the web interface. Should I have modified some config file to provide the IP address of my machine/server, please? Could you please point me towards things which I could check? Could you tell us what error you getting while accessing Nagios web interface? Hi I got an error the same as you. I try to do many things still not help. add port “12489 ” in firwalld. ==>> can anyone help me?! Jan 11 11:47:11 nagiosserver1 nagios: done. Jan 11 11:47:11 nagiosserver1 nagios: Starting nagios: done. Jan 11 11:47:11 nagiosserver1 systemd: Started LSB: Starts and stops the Nagios monitoring server. 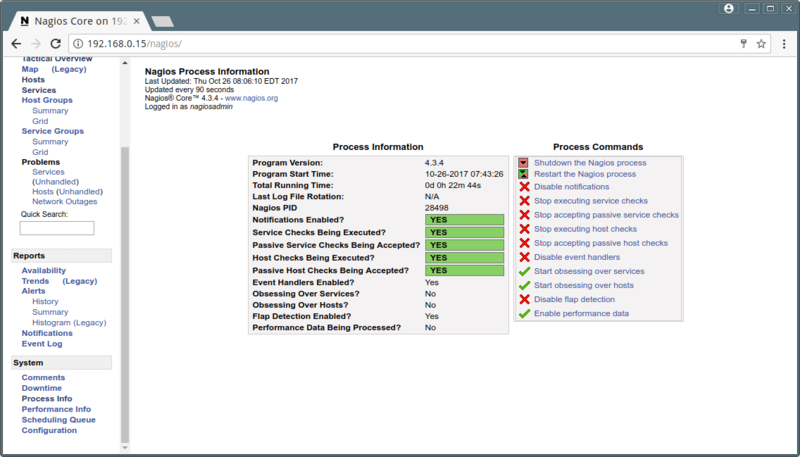 I have verified nagios configuration as per your above process configuration is all OK. but in my nagios web URL on homepage i am getting a message “nagios core not running” it is not showing nagios running with PID. in TOP command result also there no PID associated to nagios. Jan 09 19:26:59 nagiosserver1 nagios: Starting nagios: done. Please also see below logs while restarting nagios service these logs are generated. Jan 10 09:13:49 nagiosserver1 nagios: qh: Failed to init socket '/usr/local/nagios/var/rw/nagios.qh'. Jan 10 09:13:50 nagiosserver1 systemd: Started LSB: Starts and stops the Nagios monitoring server. Jan 10 09:13:50 nagiosserver1 nagios: Starting nagios: done. It seems to me a bug in Nagios version, you can fix this issue by adding a following line to your nagios.cfg and then restarting nagios. 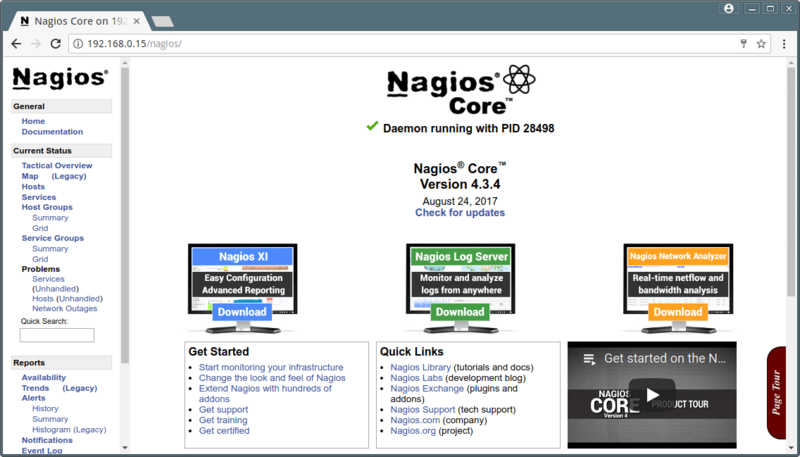 my all configuration is OK but on nagios web page it is showing nagios core not running. can you please help? Could you share exact error message with us? so that we can have better idea. 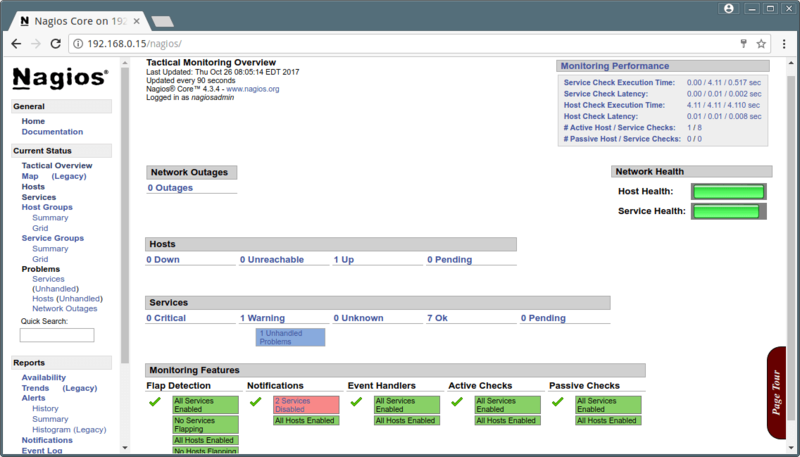 Also have you verified your nagios configuration?